Is PR transforming the digital landscape? Thanks to the digital platform, the marketing world is kept on its toes creating, replying and monitoring real-time activity. But what does digital mean to PR? Matthew Harrington (pictured), global chief operating officer of Edelman says clients are understanding the need of having conversations with consumers and this introduces new ideas through market research groups and beta testing, and this is where PR comes in. “PR is well suited to drive conversations, more so than advertising, which is paid media and is a one-way conversation with no opportunity for exchange. PR can give that exchange,” he added. Within the marketing perspective, digital has also enabled PR agencies to establish relationships with CMOs and brand managers. “The easiest way to say that is we are now in a position to set strategies for brands and help make the connection to its consumers,” said Harrington. Edelman has 600 staff around the world that make up Edelman’s digital teams, making them the largest social media agency in the business, according to Harrington. “One of the biggest opportunities in PR is the amplifier affect. We can drive the message, but more importantly, we create action and conversation. That’s the big transformation of our business in the last couple of years,” he added. While PR is starting to drive social media today, Harrington says it understands social better than the advertising world, in how to set up a campaign to create connections, foster conversation and dialogue and drive towards action. Edelman creates a variety of programmes for its staff globally, one being the social media belt system, which is an online education programme. Edelman also prepares clients for what digital has to offer through its TweetFlow programme launched last week, which shows clients the conversations that are happening with a certain topic and the kind of amplification that story is getting via twitter. 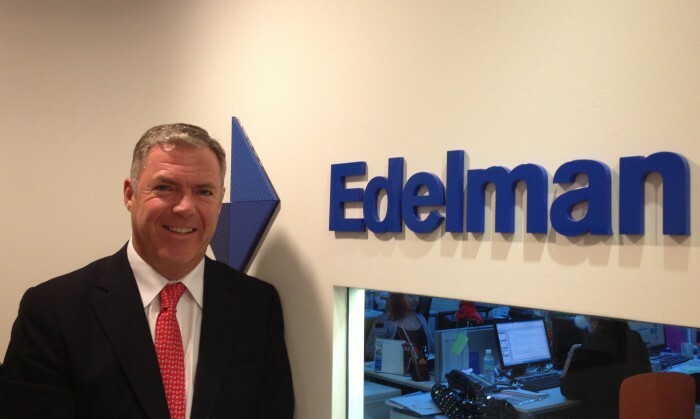 Harrington said that it’s a new algorithm for its clients and is an example of what Edelman could do for Malaysia. It will soon be adopted globally and will apply to both governments and brand owners. “Our consumer product clients like Unilever, Samsung or Research In Motion are ready because they have very active engagement programmes. So it’s a matter of taking that to the next level and understanding how conversation happens on twitter,” he added. He believes that many clients are still wrestling with the new world order and moan the loss of demand and control, thus making it hard for a lot of organisations to position themselves within social media. “PR has brought some sanity to the complex world of social media, and the way in which we provide our clients councillors,” he said. Like many marketers and agency professionals today, Harrington also sees mobile as a market to be reckoned with. Sw1tch Strategies has won the Johnnie Walker brand awareness campaign over a seven agency pitch. ..
"When I was a kid, all that I wanted to do was to be grown up so I could be like my dad. Now that I am an adult, I just want to be.. Here's the agency that will be handling both branding and creative work for NTUC Enterprise and NTUC FairPrice..